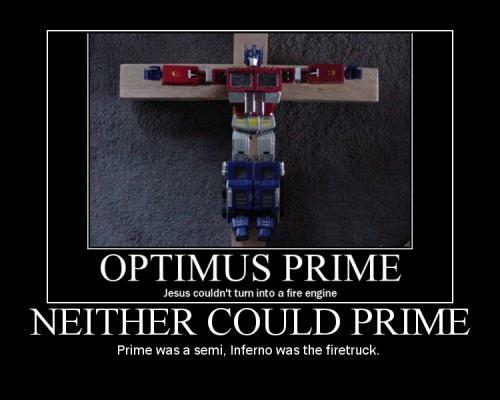 Optimus Prime, Jesus couldn’t turn into a firetruck. Neither could Prime, Inferno was the firetruck. Obviously the guy that made the first pic was thinking of Fire Convoy/Optimus Prime, not Convoy/Optimus Prime. The scales have fallen, as it were?